July 13, 2018 4:35 pm. Tony Gollan is trying not to get carried away with impressive debut winner Zoustyle. Premier Brisbane trainer Tony Gollan has urged punters not to put too big a boom on exciting juvenile Zoustyle. 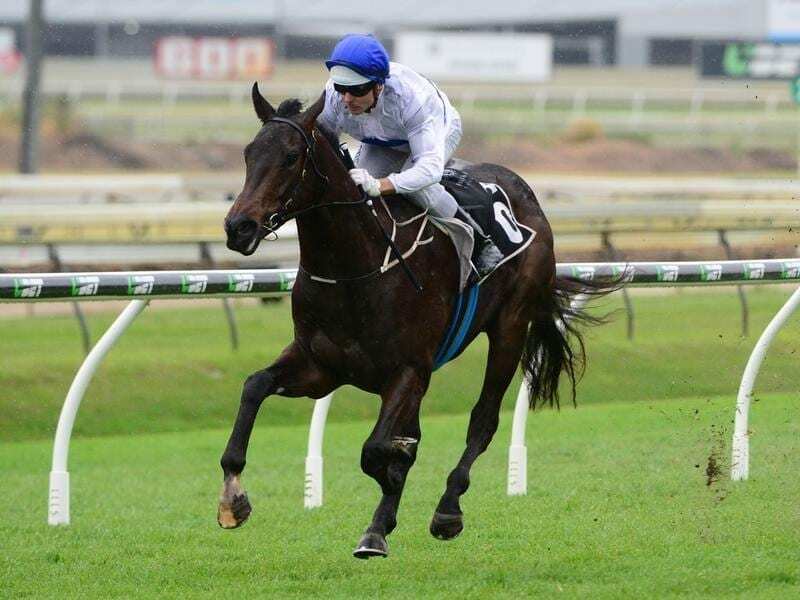 The gelding will be favourite when he tackles Saturday’s Two-Year-Old Handicap (1000m) at Caloundra. Zoustyle won an Eagle Farm trial by 12 lengths before his debut on June 27 when he ran a class record, winning hard-held by five lengths. He ran 63.45 seconds for 1100m on a soft track and took nearly a second off the previous time. It was one of the bright spots in a winter carnival when for the first time in a decade Queensland did not have a placegetter in a Group One race. Gollan concedes Zoustyle is a promising horse but doesn’t want to get too carried away. “Yes he does look promising but I am not putting the cart before the horse so to say,” Gollan said. The trainer is looking forward to the new season when he hopes to be in the vanguard of a Queensland comeback in stakes races. “We have about 45 yearlings turning two in a few weeks and it is the strongest group we have had. I have high hopes for them,” Gollan said. Gollan said there was a myriad of reasons Queensland horses had struggled in the winter. “In my stable’s case we lost a stack of top horses in a short time,” he said. “Horses live Spirit Of Boom, Temple Of Boom, Listen Son, Traveston Girl, Looks Like The Cat, etc all finished racing around the same time. “It takes time to replace them and let’s hope next year we can confirm we have done so. Gollan had a winner at Ipswich on Wednesday to take him to 84 metropolitan winners for the season and three wins off his own record.